TORONTO-listed uranium development company, Goviex, said it had signed a framework with the Niger government in which the government would buy a 10% stake in Madaouela, a uranium project, and grant the company additional land tenements. Govin Friedland, executive chairman of Goviex, said the agreement was the fruit of some 12 years of intensive negotiations with the Niger government. It would be followed by a number of additional agreements. 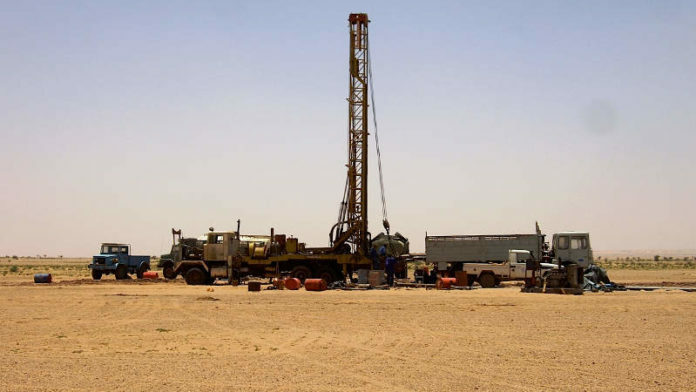 The Niger government would ‘pay’ $14.5m for its stake, taking its overall holding in the Madaouela project to 20%, by waiving Goviex’s acquisition fee for the prospect as well as agreeing to the settlement of previously challenged tax areas. This would leave Goviex tax free. The company had also launched a share placement of some 15.9 million units consisting a share and a warrant for some 17 Canadian cents per share. The placement would be completed around April 12. In addition, the Niger government had agreed to extend Goviex’s permit to incorporate the Agaliouk prospect which is expected to add a further 5.96 million pounds of uranium oxide to the overall pot.